Having a garden in the modern world is something which a lot of people take for granted. With most homes lacking this sort of space, it can be impossible to make room for this sort of area, and a lot of people have to live without it. Of course, then, when you do have this sort of space, it makes sense to use it to its full potential. To help you out with this, this post will be exploring some of the things you’ll need for some Al Fresco dining in your garden. Furniture: The furniture you choose for this will always make a huge difference. An outdoor dining table shouldn’t cost too much, and a lot of them will come with chairs. Alternatively, though, you could try an outdoor sectional to go for a more relaxed approach, having people eat off of their laps. This sort of option is great for those looking for multi-purpose garden accessories. Cooking Tools: Along with being able to sit down with the food, it would be a good idea to find a way to cook it. A BBQ is a great example of this sort of product, enabling you to cook entire meals from the garden. Along with this, some utensils will also help you to get cooking in the garden, and these will often be very cheap. Some Transport: When you’re done with food or want to bring something outside, making multiple trips will start to get tiring very quickly. To avoid this, a small cart can be used, giving you the chance to pile everything up in one place and move it all together. This sort of approach is great when you’re hosting a good sized group. Keeping It Cool: When you’re enjoying a meal outside, it’s very likely that you’ll want to have some drinks alongside it. To keep them cool on a warm day, a freezer box will be your best option. Enabling you to stay outside, this sort of option is great when you’re hosting a large group and don’t want to keep running back and forth. Of course, with this in place, you will also need to be ready to stock it when you invite people over. Kill The Chill: Even during summer, the evenings will start to get chilly in most places. If you want to time outside to last this long, you’re going to need something to combat the cold. Patio heaters are the best tool for this job, offering an easy way to keep warm, while also providing light when it starts to get dark. Hopefully, this post will inspire you to start having more of your meals in the garden. This sort of approach to food is a great way to get more out of it, giving you the chance to enjoy a range of different senses, while also eating food you love. 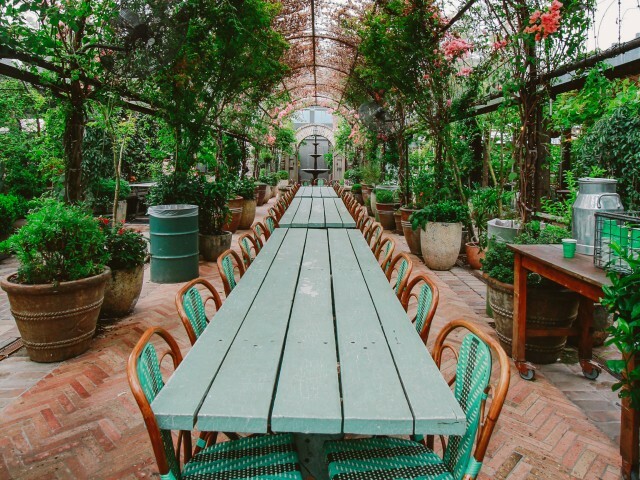 Of course, you might need some help along the way, but this will be worth it once you’re able to host all of your friends for some Al Fresco dining.